In late May, PLF attorneys filed this brief on the merits in the case of Knick v. Township of Scott, Pennsylvania, which is currently before the United States Supreme Court. The Knick case is a property rights dispute arising from a Town’s efforts to force Ms. Rose Mary Knick to allow the public to enter and walk on her private property seven days a week. The specific issue before the Supreme Court is whether property owners like Ms. Knick have a right to a free and fair hearing in federal court on par with other constitutional plaintiffs (like free speech or religion plaintiffs)—or whether property owners alone have no right to their day in federal court. Ms. Knick owns a large parcel of farmland in a rural area of Pennsylvania. Her dispute with the Town began when it passed a law declaring that private property containing a cemetery of any size and history (including a family plot) must be made accessible to the general public, or the owner faces stiff daily fines. The Township subsequently trespassed on Ms. Knick’s farmland and asserted that it had found some “stones” believed to be a burial ground monument. The Town then notified Ms. Knick that she was subject to the new cemetery access ordinance and ordered her to immediately allow anyone to enter her property, at their discretion, to walk on her land and observe the area of stones. This de facto imposition of a public easement on Ms. Knick’s land allows anyone, from anywhere, to traipse 300 yards into Ms. Knick’s farm, across a watershed. 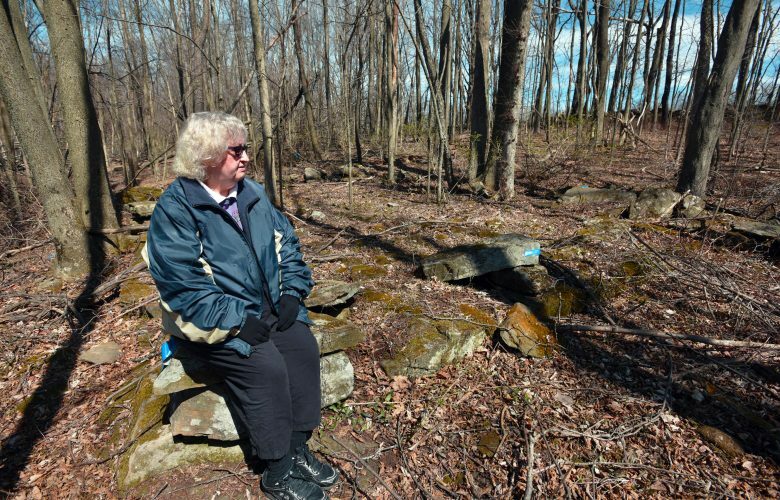 There is no limit in the Town’s cemetery law on what the public may do while on her private property or how long members of the public can stay. Not surprisingly, Ms. Knick sued the Town, claiming it was taking her property rights—especially her right to deny use and access to strangers—in violation of the U.S. Constitution. She initially sued in state court, but that court ruled that it would not decide whether Ms. Knick’s property rights were violated until the Town filed a separate suit seeking to collect fines from Knick for her refusal to obey the cemetery law. Turned away from state court, Knick filed a complaint in a federal court. This was a sensible thing to do, since the federal courts are designed to be open to any citizen claiming a violation of a federal right, and Ms. Knick asserted such a right with her claim that the Town was unconstitutionally taking her property. However, at the federal court, the Town argued that Ms. Knick’s federal property rights claims had to be heard back in state court, not in federal court. In so doing, the Town pointed to an older and highly criticized Supreme Court precedent called Williamson County Regional Planning Commission v. Hamilton Bank, 473 U.S. 172 (1985), which holds that some property rights claims are not allowed in federal court until the plaintiffs first unsuccessfully litigate in state court. When the federal court agreed with the Town that Williamson County barred Ms. Knick’s claims, Ms. Knick appealed. On appeal, Ms. Knick argued that Williamson County should not prevent her from having a day in federal court, particularly when she asserted an interference with her property rights that the Supreme Court has repeatedly recognized as a quintessential unconstitutional “taking”—namely, the imposition of a public right-of-way on her private land. Although the court of appeals recognized that the Town’s actions were “extraordinary” and “constitutionally suspect” under federal law, it held that the federal courts could not give her any protection due to Williamson County, and that she had to try and sue again in state court, where she was previously stymied. At this point, Ms. Knick still had not had any substantive hearing from any judge after almost five years of litigation. With PLF representation, Ms. Knick decided to ask the Supreme Court to review her case for the purpose of tearing down the unique and harmful walls that Williamson County erects between property owners and federal courts. On March 5, 2018, the Court agreed to take the case, and PLF has since filed its opening brief on the merits. The brief, linked to above, argues that the Court should overrule Williamson County because it deters citizens from protecting their constitutional property rights, gives an unfair advantage to the government in property rights disputes, violates Congress’s intent (as expressed through numerous federal laws) to allow citizens to access the federal courts when their federal rights are in danger, and makes federal courts subservient to state courts when it comes to enforcing federal property rights. Ultimately, the brief asks the Court to conclude that Ms. Knick’s property rights claims are entirely proper for, and deserving, of federal judicial protection. Without realistic access to, and protection, from the courts, constitutional rights are little more than paper rights. Unfortunately, for too long, Williamson County has served to turn property rights into weak, second class rights, and property owners into second class citizens, by severely limiting the courts ability to promptly give owners a ruling when the government invades their property. PLF’s arguments in the Supreme Court seek justice not only for Ms. Knick—who remains under order to allow extensive trespassing on her land (and fines if she does not)—but for all property owners who may need to have their rights secured in the federal courts when a local government seeks to limit their use of private property for the public good.